Located ideally at the foothills of the Girnar Hills Junagarh is a historic city of Gujarat. 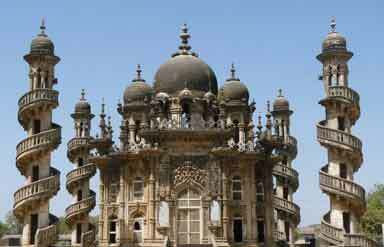 The term Junagarh in Gujarati means ‘an ancient fort’. 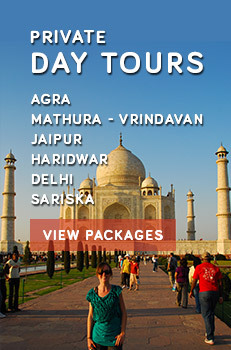 It is a famous tourist destination known for its monuments, temples and rich culture. Junagarh was once the capital of the erstwhile Junagarh state ruled by the Muslim rulers. This city witnessed the rule of several dynasties which resulted in its enchanting historical and cultural legacy. It is a wonderful rock, uneven in shape, with a circumference of seven meters by ten meters, located at the foothills of Girnar Mountain. It is an important edict of the great king Ashoka pin-men inscription of Ashoka Brāhmī script, which is very impressive. Holding sheer mythological significance, Mujkund caves is the place where Lord Krishna hid when he came from Mathura. It is the first science museum of Gujarat where tourists come in great numbers. It houses around 60 science projects and visitors are allowed to operate these projects. You can also sit at the open-air garden restaurant to relish South Indian and Punjabi food. 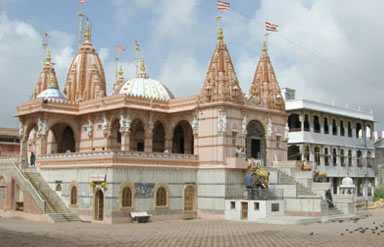 Built in 1826 AD, Shree Swaminarayan Temple is a beautiful and huge temple. It has a height of 77 feet. 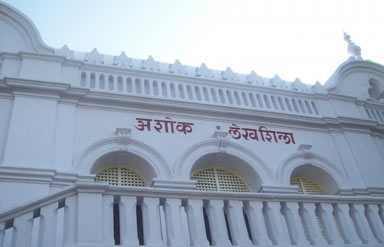 This museum houses a rare collection of royal belongings of the erstwhile raja-maharajas such as weapons, paintings, thrones, palanquins, costumes, silver articles, etc. Located in the center of the city, Upperkot is a majestic fort. It was built in 319 BC and was later remodeled in 976 AD. It witnessed severe attacks several times. It has amazing structures inside its complex such as citadel, mosque and Buddhist caves. These caves are located to the north of the fort. These are festooned with amazing carvings and floral work. Their history dates back to 500 AD. Another attraction here is the two step well. A variety of hotels are available in Junagarh. However, the list of luxury hotels is small. By Air: The nearest airport is at Keshod which is at a distance of 40 km from Junagarh. By Rail: There is a railway station at Junagarh which connects it to various cities of Gujarat and some important cities of India. By Road: Junagarh is well connected to the mian cities of Gujarat by road.